Fernández, Y., Hernández D., Castellon, P., Cardenas, G., Gooden, L., Del Rio, C., Metsch L. From Risk Networks to Care Institutions: Shifts in Social Capital from HIV+ Drug Users’ Perspectives on Engagement in HIV Treatment. Hernández, D., Fernández, Y., Torres- Cardona, F.,Castellon, P., Vidot, J., Miranda de Leon, S., Feaster, D., Schackman, B., Rodriguez, A., Santana J., Metsch, L. Understanding the unique role of shooting galleries as risk and protective environments for injection drug users in San Juan, Puerto Rico. My research explores the effect of state supervision on substance use and substance use disorders, violence, and other health outcomes for multi-marginalized ethnoracial minorities marked by criminal justice intervention. This agenda extends from a legal epidemiological framework, which foregrounds the ways in which law and legal institutions operate as social determinants of health. I maintain a strong commitment to expanding my conceptual, analytical, and research skills in the substantive area of substance abuse among Latinx underserved women who are criminal justice involved. My research has been supported by the National Institutes of Health, the National Institute of Justice, the Ford Foundation and the Sunshine Lady Foundation. My recent empirical research has been published in Criminal Justice and Behavior, Women and Criminal Justice, the Journal of Developmental and Life Course Criminology and the Harvard Journal on Racial and Ethnic Justice. I hold a BA in Sociology and Philosophy from Haverford College, an MA in Criminology, Law and Society from Villanova University, and a PhD in Criminology from the University of Delaware. Prior to joining the faculty at UC Berkeley in the fall of 2016, I was awarded a Vice Provost’s Postdoctoral Fellowship at the University of Pennsylvania. Dr. Miguel Ángel Mendoza-Meléndez has a Bachelor’s degree of Psychology from National Autonomous University of Mexico (UNAM) and a Medical degree (MD) by Metropilitan Autonomous University (UAM), he also has a Master´s Degree in Public Health in Epidemiology from the Institute of Public Health of Mexico (INSP), and a Specialty on Drug Abuse Studies. Currently, he is a PhD Candidate in Neurosciences and Science and Technology by the National Autonomous University of Mexico (UNAM) and Centre for Research and Advanced Studies of the National Polytechnic Institute (CINVESTAV), Mexico´s city. and is certified in Drug Policy, Health and Human Rights, Genomic Sciences, Clinical Pharmacology, Child Neuropsychology and Polysomnography. He is a professor and research interest areas include Transdisciplinary Research, Epidemiology of Drug Addiction, Program Evaluation (Research Methodology), Public Policy Implementation, Information Systems, Neurosciences, Health Economics, Biostatistics, Pharmacology, and Sleep Medicine. 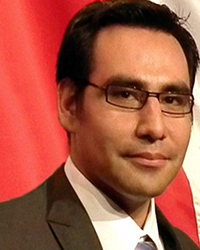 Dr. Mendoza has had several positions in the public service in government health areas. 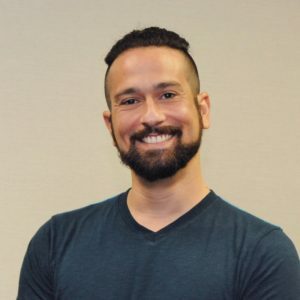 Manuel “Manny” A, Ocasio is a PhD candidate in the University of Miami epidemiology doctoral program and currently working on his NIDA F31-funded dissertation. His study uses a parallel strand mixed methods approach to examine the role of family in illicit drug use and sexual risk behavior in sexual minority Hispanic adolescent participants (SMHA) from the evidence-based, Hispanic-specific Familias Unidas intervention. The study aims to empirically test ecodevelopmental risk and protective factors in SMHA, evaluate the efficacy of Familias Unidas compared to prevention-as-usual among its SMHA participants, and qualitatively assess sexual orientation disclosure experiences of SMHA participants to their families. Synthesis of these results will provide key preliminary evidence for adapting Familias Unidas. The next phase will be to conduct formative research with SMHA and their families to adapt Familias Unidas and develop stand-alone, family-based intervention content that targets SMHA risk behaviors. He wishes to continue focusing his program of research on this vulnerable population subgroup and perhaps expand to young adult sexual minorities and other high-risk and understudied Hispanic populations, such as transgender youth. 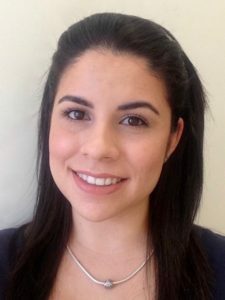 Natalia A. Quijano Cardé is a PhD candidate of the Pharmacology graduate program at the University of Pennsylvania, Perelman School of Medicine (UPenn). 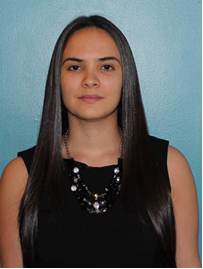 Natalia was born and raised in Puerto Rico, and she received her BS degree in industrial biotechnology from the University of Puerto Rico, Mayagüez (UPRM) in 2015. 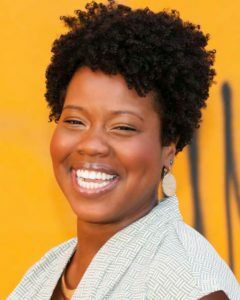 As an undergraduate student, she was part of the Minority Access to Research Careers (MARC) program, which gave her the opportunity to participate in several research projects and network with outstanding researchers. During her time in the UPRM, Natalia conducted research in the chemistry and chemical engineering departments. Moreover, during the summer of 2014, she participated in the Summer Undergraduate Internship Program (SUIP) at UPenn and conducted research under the mentorship of Dr. Mariella De Biasi and Dr. Erika Perez on alcohol and nicotine co-abuse. In 2016, Natalia joined the De Biasi laboratory, where she investigates the efficacy of subunit-specific kainate receptor blockade to moderate alcohol consumption, and the mechanisms underlying such modulation. 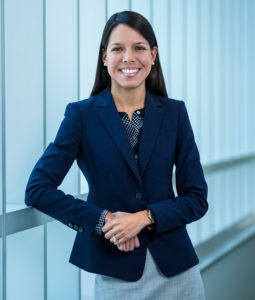 Natalia is particularly interested in advancing the identification of novel molecular targets for the development of more efficacious alcohol cessation aids that will particularly help the Hispanic population in the United States, which is disproportionately burdened by substance abuse disorders. Sheehan DM, Trepka MJ, Fennie KP, Gebrezgi M, Cyrus E, Maddox LM. HIV care continuum disparities among Latinos with a history of injection drug use. 2018 College on Problems of Drug Dependence, San Diego, CA. I am a fourth-year PhD student at the University of Washington, in the department of Health Services with an emphasis on Health Behavior and Social Determinants of Health. Currently, I am working as a Research Assistant under Dr. India Ornelas’ supervision and funded by a diversity supplement from the National Institute on Alcohol Abuse and Alcoholism (NIAAA). My research focuses on engaging Latinos in community based participatory research to gain a better understanding of the most effective and culturally appropriate intervention approaches that address substance abuse among Latino immigrant communities. In my dissertation, I am focusing on three papers on alcohol use and Latino immigrant men’s participation in research. I plan to continue working on my dissertation and incorporate substance abuse research as it relates to unhealthy alcohol use among Latino immigrant men. 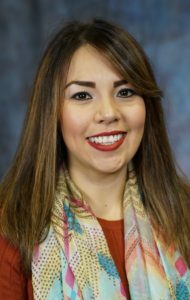 My research interests are to understand the complex ways in which gender, immigration status, poverty, and other contextual factors affect patterns of health behavior and health status in Latino communities. Previously, I earned my Masters in Public Health (MPH) in Health Promotion and Behavioral Science from San Diego State University in 2014. My career goal is to become a tenured faculty member at a research-focused university, with a faculty position. After completing my PhD, I plan to apply for post-doctoral research positions and then to a tenure track faculty position.